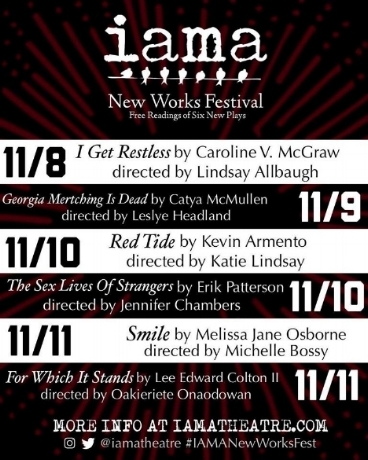 I Get Restless will be read as part of IAMA Theater’s New Works Festival on Thursday, 11/8 at 8pm. The reading will be directed by Lindsay Allbaugh, and features Erin Pineda, Dean Chekvala, Margaux Susi, Charlie Farrell, and Ryan Garcia. More info available at the IAMA site.